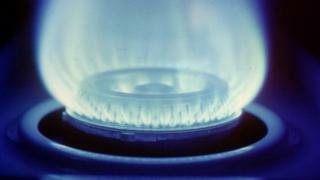 Profits made by Manx Gas must be cut, a report on the government's regulatory agreement with the company has said. The review said the 9.99% cap on profits the company is allowed to make is too high and should be lowered. Chief Minister Howard Quayle said the government would be ending the current contract and "urgently" renegotiating the five-year voluntary agreement. Manx Gas said it welcomed the government's review and "noted its conclusions". The current banded pricing system was introduced in January 2016 with the lowest band being charged at 16p a day and the highest £2.13 a day. The report found the charges led to some customers paying up to £100 extra per year, sparking public protests. In January, Manx Gas announced it would be dropping the unpopular banded charges and allowing customers to return to a flat rate standing charge coupled with a higher gas price. Mr Quayle said: "I'm not adverse to Manx Gas getting a fair and equitable return on their investment, but equally the Manx Gas consumers have to get a fair and equitable return on the money that they are giving to Manx Gas for the services that they receive. "I'm just trying to ensure that it's made as fair as possible, I've not believed in the past that it was maybe the very best deal we could get, this report confirms my concerns," he added. The five-year voluntary agreement, which was signed in 2015, has a six-month break clause after four years. The Chief Minister has not said what new cap on profits would be suggested by the Manx government. Campaigner Barry Murphy, who led the protests, said the report was "promising". Mr Murphy said: "As a domestic customer, I think gas in the Isle of Man is far too expensive. "Anything that results in consumers getting lower bills is a good thing," he added.